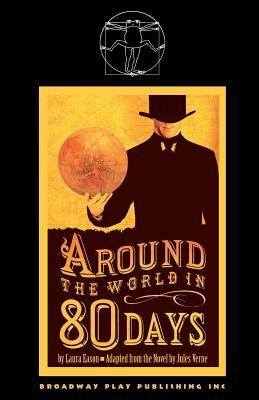 Jules Verne's classic adventure tale is reimagined for the stage in this enchanting adaptation. "Pure, unadulterated magic ... utterly beguiling ... a high-spirited, imagination-filled escapade ... Laura Eason's exceptionally graceful adaptation of the Jules Verne classic ... manages to be both wise and fun-filled ... it lays its bets on enchantment and invariably comes up a winner ... a show that should sail the world. Highly recommended." -Chicago Sun-Times "Light, cheerful and greatly entertaining ... laudably committed to its theatricality ... Eason's staging is full of the visual imagination ... It's all a great deal of fun." -Chicago Tribune "An engaging, family-friendly show. Highly recommended." -The Chicago Reader "Eason's affable adaptation plays up elements of Verne's novel that are sometimes forgotten ... Eason moves stylishly from set piece to set piece, from the cuckoo-clock orchestration of Fogg's London life to teacups sliding across a shipboard table." -Time Out Chicago.